These hexapods are used by the AIT (Assembly, Integration and Tests) service of telecommunication satellite manufacturers. 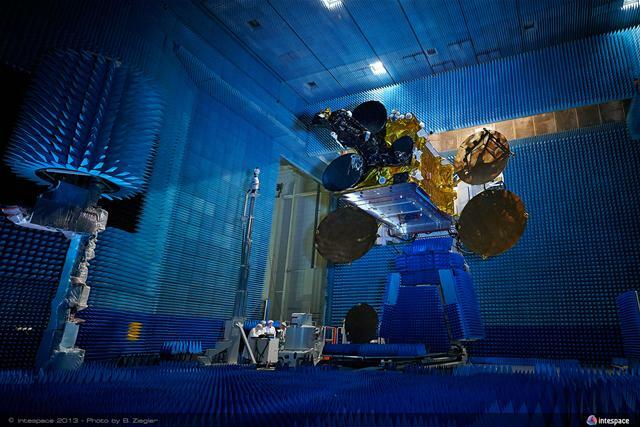 They test the communication performance of antennas in their frequency bands in anechoic chambers, in order to reproduce communications between the geostationary orbit and earth stations. During the satellite life, antennas can be reconfigured and reoriented to communicate with different stations. As the space mechanisms used to reorient the antennas cannot function at earth gravity, they are replaced by hexapods during the RF tests. Previously satellite manufacturers used more conventional systems made for each satellite. In order to avoid wasting time and money designing and realizing these elements, they have been replaced by hexapods, which provide flexibility of use and reconfiguration as well as mid-term savings. 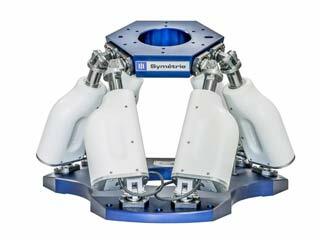 Combined with our expertise in metrology, the hexapod technology is appropriate because it allows very precise motions in the 6 degrees of freedom while bringing flexibility of reconfiguration via software. Our products adapt to your requirements in terms of travel and load to adapt to your specific needs. Contact us! 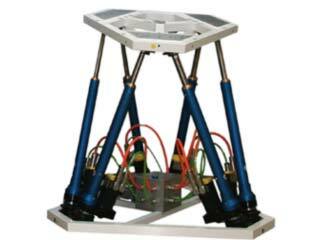 ► Sirius hexapod is the most used for this application. 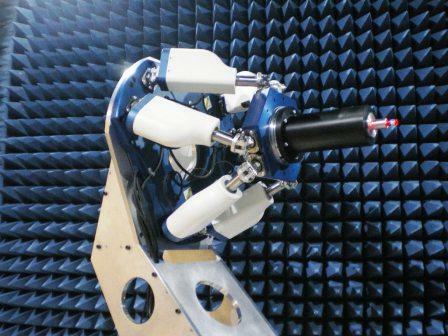 Breva hexapod can also be used for lighter antennas or RF sources with smaller travel ranges.